The entire plants of Viola yedoensis Makino of family Violaceae. From the downstream area of Yangtze River to southern provinces. Light smell, slightly bitter and sticky taste. 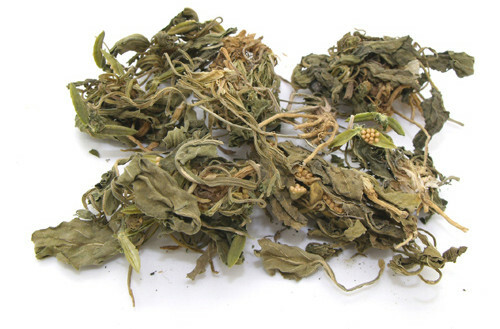 Complete Leaf in green color, yellow root without impurities. Used in fresh, or dried for use without preparation. Bitter, pungent, cold; heart and liver meridians entered. Clear heat and remove toxicity, cool blood and relieve swelling. It excels in clearing heat-toxicity in blood system of heart and liver meridians to further cool blood and relieve swelling. It is a commonly-used herb for treating deep-rooted boils, furuncles, sores, and abscess, red swelling with burning pain due to excessive heat-toxicity and blood heat accumulation, but it is especially good at treating deep-rooted boils. For deep-rooted boils with swollen pain, the pounded juicy from fresh products can be used singly for oral taking, while the dregs for topical applying. 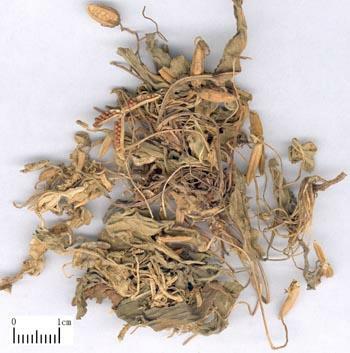 For example, its juice is taken singly in Qian Jin Fang; it is soaked in vinegar with salt after mixing with wheat flour and applied topically in Sun Tian Ren Ji Xiao Fang (Collection of Effective Prescription from Sun Tianren); it is combined with heat-clearing and toxicity-removing herbs to improve the effects, such as Jin Yin Hua, Pu Gong Ying and Ye Ju Hua, etc. , as in Wu Wei Xiao Du Yin from Yi Zong Jin Jian. For mammary abscess, it is often combined with Pu Gong Ying by means of taking decoction, and applying dregs or pasting plaster simultaneously which are all effective, such as Di Ding Gao from Hui Zhi Tang Jing Yan Fang. For abdominal abscess, it is usually combined with toxicity-removing and blood-cooling, blood-activating and abscess-curing herbs, for example, Da Huang, Da Xue Teng and Mu Dan Pi, etc. It has a combined action of relieving snake venom. For venomous snake bite, it can be taken orally in fresh after pounding into juice, or combined with a little Xiong Huang and pounded for topical application. With the action of clearing heat and removing toxicity, it is also indicated for swollen and sore throat, dysentery, blood-shot eyes with swelling pain and warm disease caused by exo-pathogens. In addition, it has a combined action of clearing excess heat from liver and stomach, and can be used in treating blood-shot eyes due to liver heat, mouth ulcer due to stomach heat. Decoct 15~30 g. Fresh products in proper dosage are pounded for topical applying.